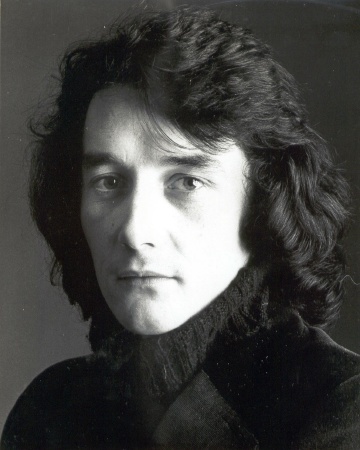 Born in North Dublin in 1952, Carl Corcoran began performing as a pianist/singer-songwriter in the clubs in Dublin in the early 70s, the same scene which gave Chris de Burgh his start. His biography says he was surprised to be offered a recording contract by EMI Records. 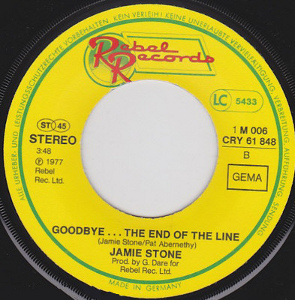 The stage name Jamie Stone was chosen for him by producer John Drummond. 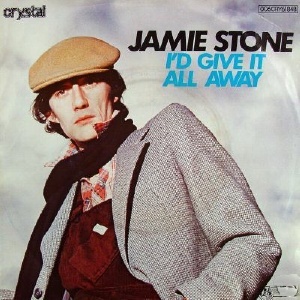 Before recording as Jamie Stone, Carl had already made his vinyl debut with the Dublin branch of the Crehan Family (as opposed to their West Clare cousins), a traditional music group who'd appeared on ITV's Opportunity Knocks in 1970 and signed to EMI Records. 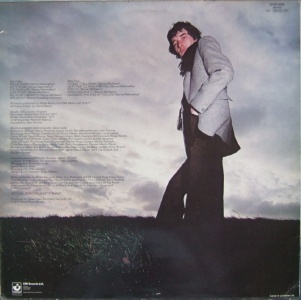 When recording their 1973 LP "The Green Hills of Clare", they decided they needed vocals on some tracks to prevent it from being an all instrumental affair, an so they asked Carl, a friend of the band, if he would like to guest on it. 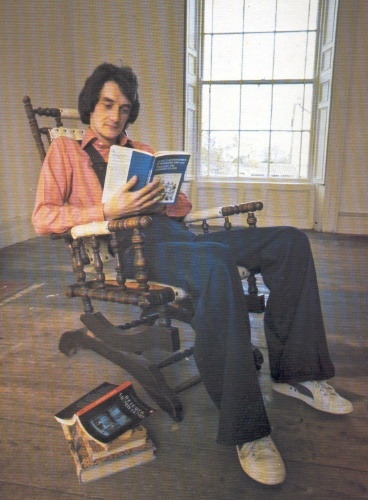 He performed on three tracks: the title track "The Green Hills of Clare", "Sally Free And Easy" and "Lord Franklin". I haven't heard the resultant LP but it has a good reputation. Carl reputedly does a very good job handling the traditional tunes in contemporary, slightly progressive settings incorporating acoustic guitar, bass and drums. 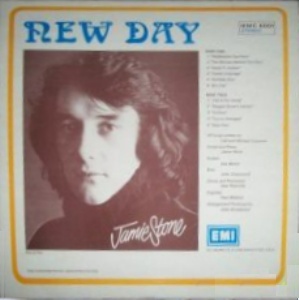 As Jamie Stone, Carl recorded three albums for EMI, "New Day" (1974), "Storyteller" (1976) and "Let It Shine" (1978). 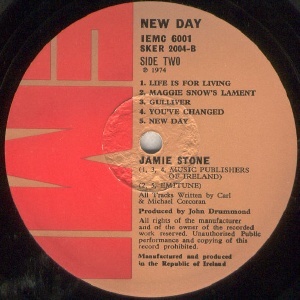 "New Day" is the liveliest and most varied of the three; "Storyteller" is dominated by mid-tempo piano ballads of little variety or distinction which suffer from a drabness and samey-ness across the album, making it his least interesting recording; and "Let It Shine" is the slickest, recorded in London with seasoned session musicians. 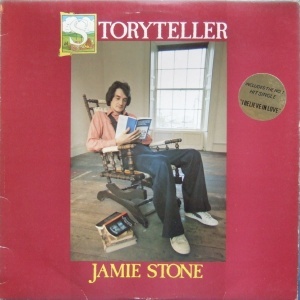 The first album spawned a hit single in Ireland "Gulliver" and Stone won several RMI awards that year the same year. 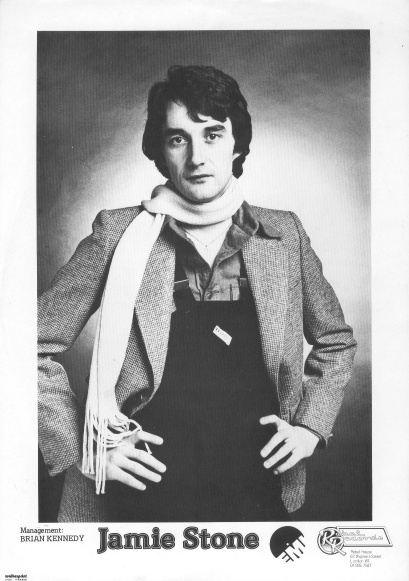 In 1976 he entered ITV's New Faces where he came second. He appeared again in a runners-up competition broadcast on 18 December 1976 but it was that well-known boy/girl duo from Portsmouth Koffy & Kreme who won the right to go on to the Grand Final. Meanwhile "I Believe in Love", the lead single off his second album, hit the #1 spot in Ireland in December 1976 and spent a total of 14 weeks in the Irish charts. In 1977 he made a stab at Eurovision, entering the National Song Contest with "If I Give My Love" and finishing second. He tried again the following year with "Over Again" which finished 7th. 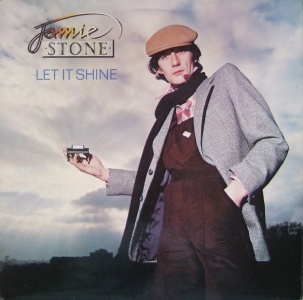 His final LP for EMI "Let It Shine" came out the same year. 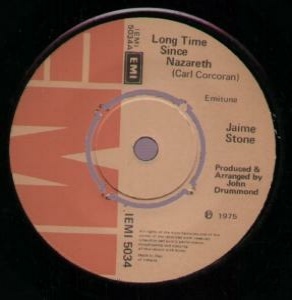 In 1978, he reverted to his real name Carl Corcoran and he and his wife, songwriter Rosemarie Taylor, emigrated to the USA where they stayed for 20 years. Both continued to publish songs. He finished 4th in the 1995 Irish National Song Contest with the song "Little By Little". Carl also began to work in radio in the 1990s which led to an opportunity after returning to Ireland when he joined the staff of Lyric FM. He continues to write and also performs on occasion. Besides his pop recordings, Carl revisited traditional music material by recording a trad-flavoured solo CD for the US Rego label in 1995. Produced by John Drummond in Trend Studios. 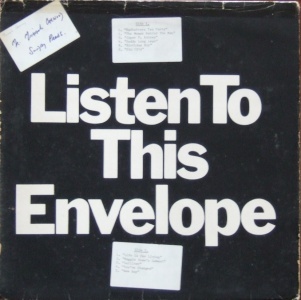 Notes: All tracks wrtiten by Carl and Michael Corcoran. Matrix: SKER 2004 A-1U/B-1U. "My Lady In Blue" was a National Song Contest finalist. • I Believe In Love / ? Irish #1 hit single. Entered the charts on 26.11.1976 for a 14 week run. The sticker reads "Including Hit Single I Believe In Love". Notes: All music by Jamie Stone. Lyrics by Pat Abernathy, Pat Mullen, Michael Corcoran, Jim Connolly & Fred Goulding and Carolyn Swift. Record at Dublin Sound Studios. Arranged by Ed Welch. Engineered by Bob Harper. Produced by Bob Barrett. 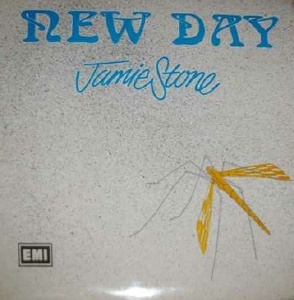 Piano and vocals by Jamie Stone. Backing vocals: Ann Bushnell, Pat Reilly, Des Smyth, Jack Bayle. • Alice In Your Wonderland / D.A.N. 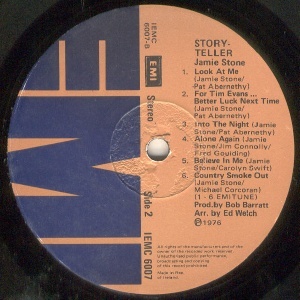 Both sides from Storyteller LP. 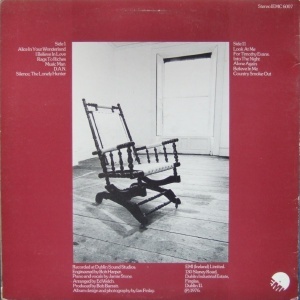 Non-LP single. 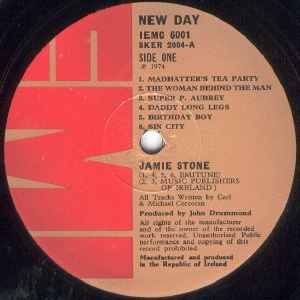 Both sides arranged and produced by Jamie Stone. • If I Give My Love / ? Runner up in 1977 National Song Contest. Possibly the same as the next single. Irish promo/test pressing copy with white labels and SHSP 4080 matrix. Notes: All music written by Jamie Stone. Lyricists: Art McGann, Pat Abernethy, Fred Goulding. Recorded at AIR Studio, London, September-October 1977. Mixed Nov-Dec 1977. Numerous strings and brass credits (omitted). Notes: Recorded in Valley Cottage, New York in March-April 1994. Produced by Carl Corcoran and Rosemarie Taylor. Personnel includes Carl Corcoran (vocals, guitar, keyboards); Rosemarie Taylor (piano, keyboards); John Guth (guitar, banjo, bass); Kevin McCann (guitar); Winnie Moran (fiddle); Joanie Madden (flute, whistle); Matthew Fisher (flute, soprano saxophone); Jerry O'Sullivan (uillean pipes); Paddy Noonan (accordion); John Nolan (button accordion); Barry Wiesenfeld (acoustic & electric basses); Ricky Martinez (drums, percussion); Seamus Greene (bodhran, woodblock).